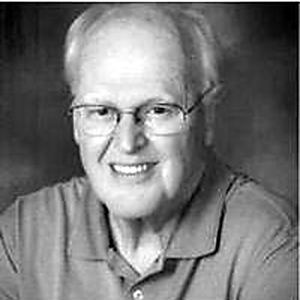 Robert “Bob” Banasiewicz, Sr. of Hobe Sound, Fla., passed away on Tuesday, Jan. 29, 2019. He was born in New Britain, Conn., on April 28, 1944, a son to the late Lucian Banasiewicz and Helen Swider Banasiewicz. Bob graduated from EC Goodwin Technical High School in New Britain. He then went to work at his dad’s American gas station on East Main Street. He opened a new Mobil gas station on South Main Street across from Willow Brook Park. When he closed the station, he became a manager for the Connecticut Emissions Program facility in Newington, Conn. He left that position and took on a management position in the Connecticut state government until he retired. Bob is survived by his loving wife of 40 years, Janice “Jan;” two sons, Robert (Brigid); Scott (Amy); five grandsons, Kyle, Aaron, Tyler, Noah, and Parker; two brothers, Lucian (Paula) and James (Barbara); two sisters, Susan Mathein (Nick) and Nancy Dubay (Clayton). A Mass of Christian Burial will be celebrated Friday, Feb. 15, 2019, at 10 a.m. at St. Paul’s Church, 485 Alling St., Kensington. Burial will follow in St. Mary’s Cemetery, New Britain. Visitation will be Friday morning, from 8:30 to 9:30 a.m. at the Farrell Funeral Home, 110 Franklin Square, New Britain. In lieu of flowers, the family kindly requests contributions be forwarded in loving remembrance of Bob to St. Andrew Catholic Church, 2100 SE Cove Road, Stuart, FL 34997. To send a condolence, please visit www.FarrellFuneralHome.com . Posted in New Britain Herald, on Friday, 8 February 2019 18:17. Updated: Friday, 8 February 2019 18:20.